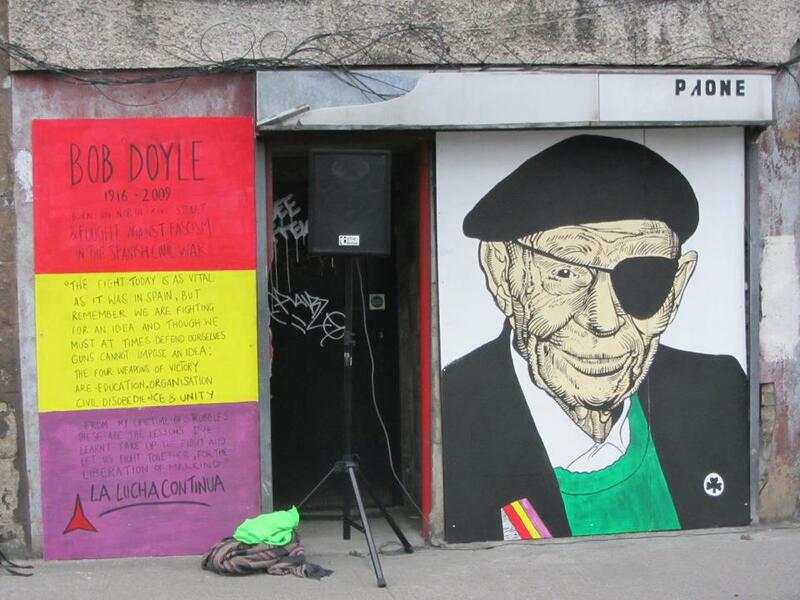 New plaque and mural in Dublin City | Come Here To Me! 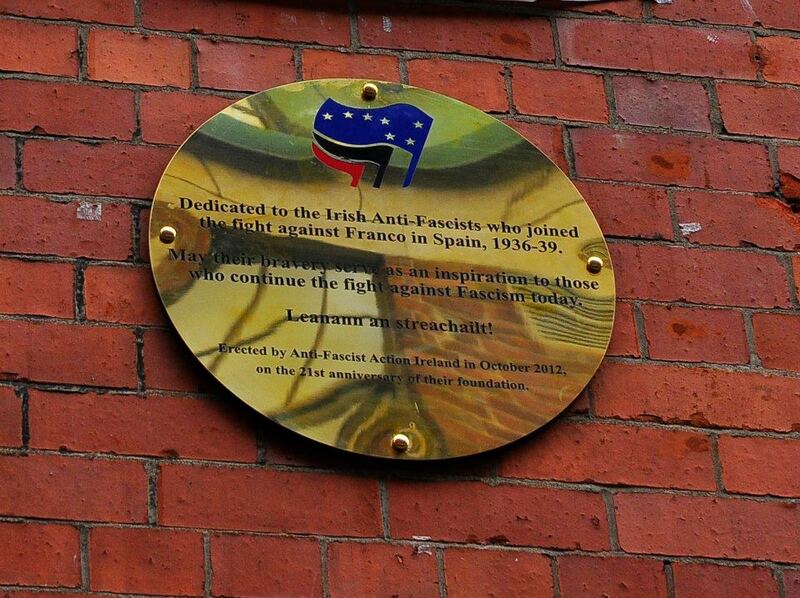 Over the weekend, Anti-Fascist Action Ireland unveiled a new plaque and mural to celebrate their 21st birthday. The plaque above Connolly Books in Temple Bar, launched by Tom Redmond, Manus O’Riordan and Cllr. Cieran Perry, is dedicated to all those Irish who went to Spain to fight for the Republic during the Civil War. More pictures can be viewed here on their Facebook page here. Nice one. I know the Cobblestone well, and now that I´m living in Madrid, it´s all come full circle. Cheers!